Let us take care of all the details. Choose one of our party themes, or create your own, and we will take care of the rest. Click on our party packages to see the various party themes we offer. 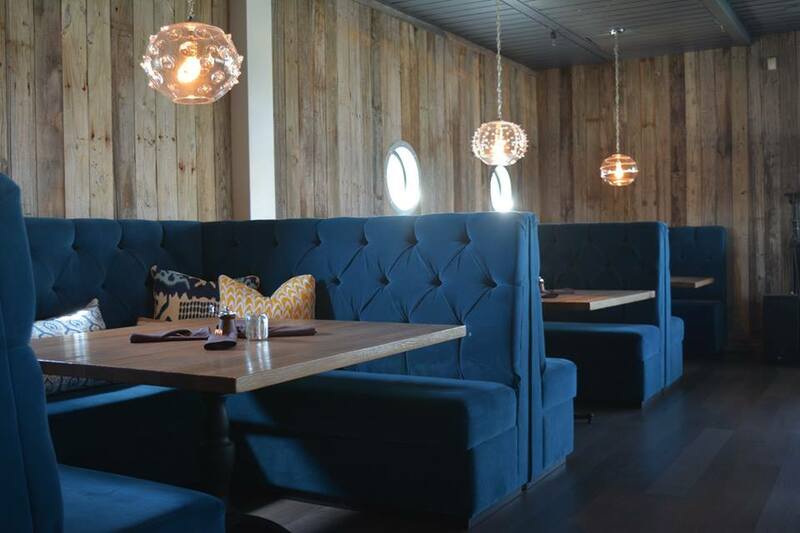 Terrapin Crossroads has six options for special, private event spaces. Whether you’re looking for a small intimate space or to buyout the entire restaurant, we will work with you to make your event absolutely perfect. We pride ourselves on making each event uniquely yours by providing personalized service from the very beginning of the planning process. Terrapin Crossroads family room is a cozy, let lively private event space. It has a prime location in the restaurant that looks out onto the beautiful dining room. It is a lively room with couches, chairs, coffee tables and a shuffleboard table. It is the perfect location for relaxed cocktail parties, pre-dinner receptions and small, seated dinners. Capacity: 20 guests seated, 30 guests standing. Food & Beverage Minimums: Monday & Tuesday $1,200. Wednesday & Thursday $1,500. Friday, Saturday, Sunday, Brunch & All Show Nights $1,800. Holiday Food & Beverage Minimums: Brunch: $1,800. Monday & Tuesday: $1,500. Wednesday & Thursday $1,700. Friday - Sunday: $2,000. Show Night: $2,000. The second floor of Terrapin Crossroads restaurant is our Living Room. It is a beautiful room with abundant light & views of the San Rafael Canal. This private room is ideal for an intimate cocktail reception or a private dinner. The room allows for variations of seating arrangements providing options for your special event. Food & Beverage Minimums: Monday, Tuesday & Brunch $3,000. Wednesday & Thursday: $3,500. Friday, Saturday, Sunday & All Show Nights: $4,500. Beautifully perched along the San Rafael Canal is the Waterfront Patio. Daytime events will enjoy sun kissed tables beneath umbrellas & evening events will enjoy a festive celebration under the string lights with the warmth of our heaters and fire features. Food & Beverage Minimums: Monday, Tuesday & Brunch $6,000. Wednesday & Thursday $6,500. Friday, Saturday, Sunday & All Show Nights $7,000. Terrapin Crossroads’ Grate Room is a beautiful space. The walls are covered with old reclaimed wood and the chandeliers above provide a soft glow giving the room a warm and inviting atmosphere. The room is a canvas, waiting for your vision to make it the venue of your dreams. Food & Beverage Minimums: Monday, Tuesday & Brunch $5,000. Wednesday & Thursday $7,000. Friday, Saturday, Sunday: $10,000. Offer your guests a memorable evening with full access to the restaurant. Allow them to roam the property and relax or play games in the family room, sit outside to enjoy fire pit, and dine in the beautiful dining room. Food & Beverage Minimums: Monday, Tuesday & Brunch $15,000. Wednesday & Thursday $18,000. Friday, Saturday, Sunday $30,000. Holiday Food & Beverage Minimums: Monday, Tuesday & Brunch $18,000. Wednesday & Thursday $25,000. Friday - Sunday $35,000. While Beach Park is not a private event space, it is certainly a wonderful environment to host a causal party for family and/or friends. The kids will enjoy the playhouse and ship play structure, there are three beautiful fire features and three bocce courts. This is a casual atmosphere with laid back service that is perfect for a kids birthday party, a book club gathering, or even just getting friends together fro one more Saturday night! $350 park picnic table, up to 35 people, $750 park couch area, up to 60 people.